Weise® makes choosing a pair of biker jeans simple, with with its new Boston denim and aramid jeans, which cover all the bases. Traditionally styled, they come in black or blue, in sizes to fit men and women, and retail for under £100, with the reassurance of a two-year warranty. Made from stretch denim, Boston jeans have a traditional classic fit, with a semi boot-cut, so they will fit over motorcycle footwear. Lined with aramid fibre panels at key locations, the main seams are double-stitched for greater strength and CE approved knee protection is included at no extra cost. Weise Boston jeans sell for £99.99 including VAT and are available in black or blue in men's sizes S-5XL (30”-44” waist). Men's black jeans are also produced in short leg length, S-4XL (30”-42” waist). Women's Boston jeans come in black and blue denim too, in sizes from 8 – 22. Weise underlines its commitment to quality with a 2-year warranty on all its clothing, giving owners complete buying confidence. 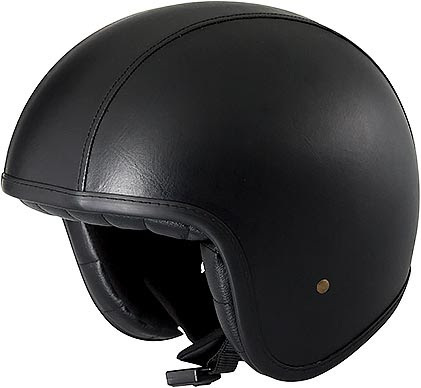 Riders looking to add an open-face helmet to their summer wardrobe can get a dash of vintage style with the new D388 open-face helmet from Duchinni. 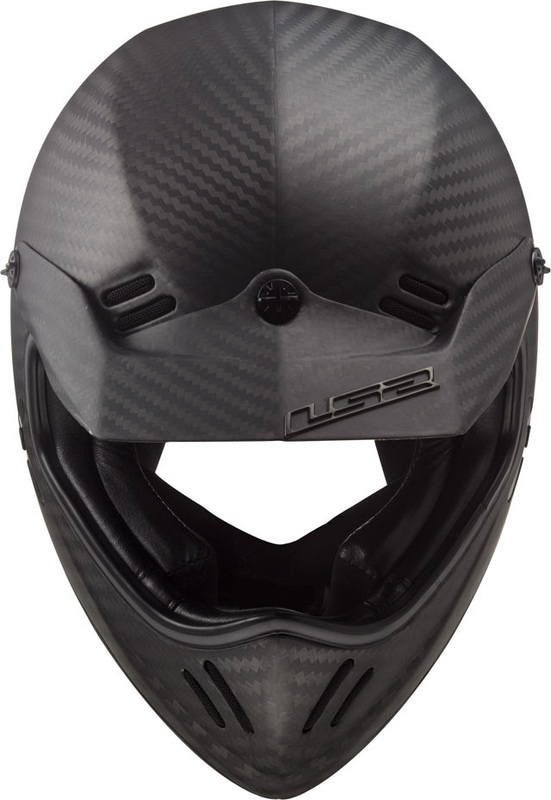 Its ABS shell meets the ECE 22.05 safety standard and it is fitted with an anti-scratch pull-down internal sun visor, goggle strap and removable/washable lining. 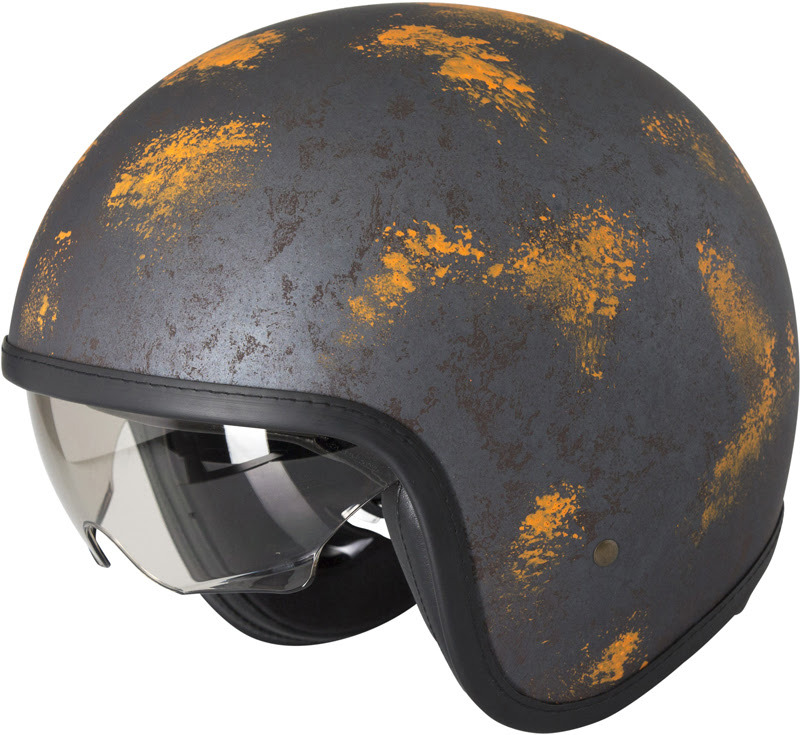 There are three versions of the D388 - with Rust or Iron patina graphics - retailing for just £89.99, or with a black leatherette-covered shell and luxury vintage-inspired textile lining (but no sun visor) selling for £99.99. All come in sizes XS-XL. The Motorcycle Action Group (MAG), and specifically the MAG Foundation, has launched a new crime-stopping initiative to help tackle the curse of the theft of motorcycles and scooters. Called ‘Lock 2 Lock,’ the idea is simple. You loop your lock through another person’s lock. Each rider can then release their machine without the presence of the other rider or riders. 1 You’ll find a ‘Lock 2 Lock’ tag in the new edition of The Road magazine. 2 Attach the tag to your lock to indicate you are happy for others to loop their lock through your lock. 3 Make sure you only loop the lock and NOT the wheel or any other part of the other machine, or you’ll stop them from being able to leave! ‘And that’s it,’ adds Selina. ‘In doing this you make it harder for criminals to steal either motorbike because it’s very hard to move two machines at once. Our thanks go to the MAG Foundation for providing the tags.’ Further tags can be purchased from Central office for £2 each. Lock 2 Lock is just part of MAG’s campaign to fight against motorcycle theft. Whenever a machine is stolen, we all suffer with increased insurance premiums and the owner has endless trouble and stress from the loss. MAG asks you to take the time to put the tag on your machine, secure your bike with Lock 2 Lock and make it less attractive to the criminal low-life who try to steal our bikes. We’re also working to get secure parking for motorcycles but Lock 2 Lock is something we can all do right now: use the tag and get more protected. New from LS2, the Xtra blends classic styling with cutting edge materials, construction and features, for riders who want the old-skool look, but demand modern comfort, protection and performance. 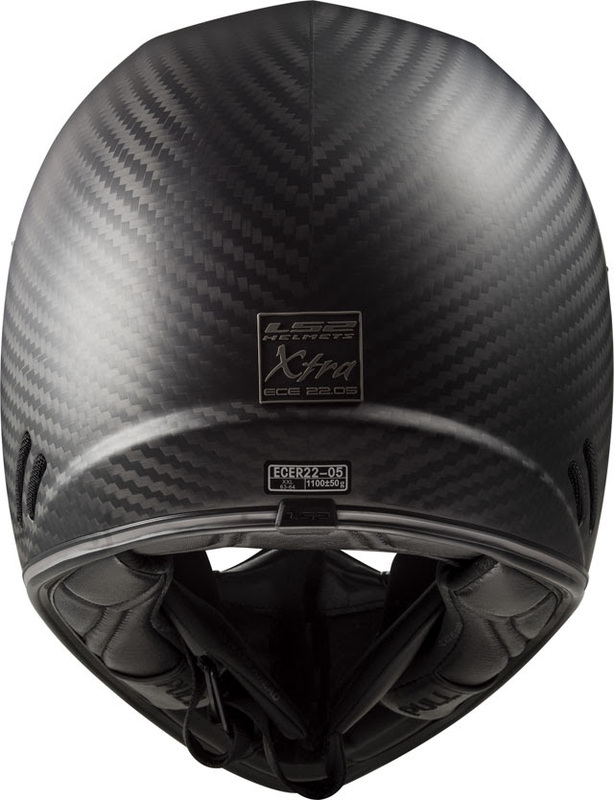 The Xtra’s impressive spec starts with the outer shell, which is made from 100% high-grade wide weave carbon fibre. It offers high penetration resistance and flexibility for energy dispersion, yet weighs in at just 1159 grams. Naturally, it’s fully ECE 22.05 certified for road use. 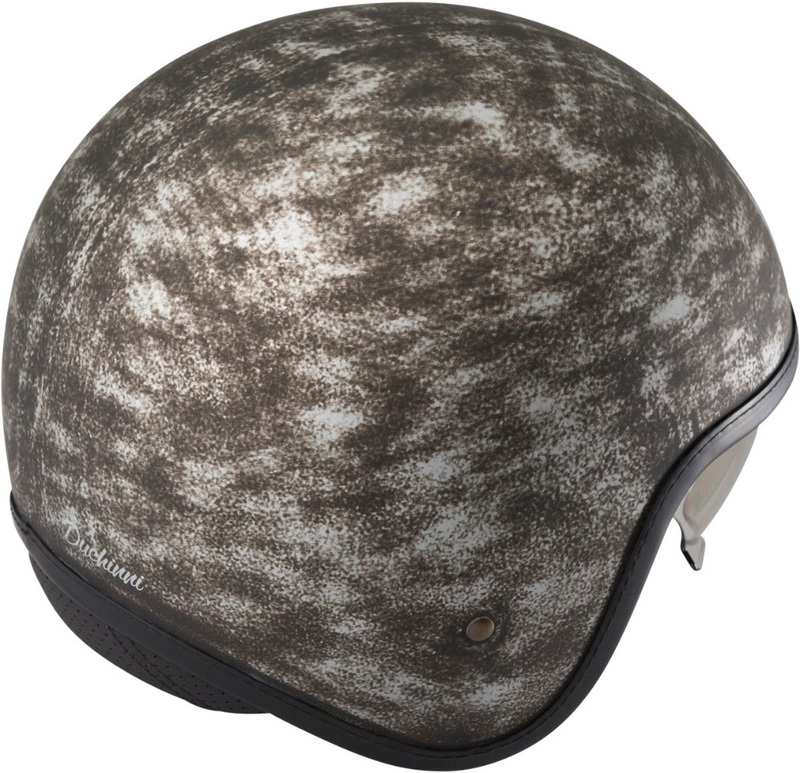 The shell comes in three sizes for the smallest, lightest possible helmet in each fitment range, and has a long-oval shape to follow the natural contour of the head, for a snug and reassuring fit. The wide aperture offers plenty of all-round vision and accommodates most styles of riding goggle. 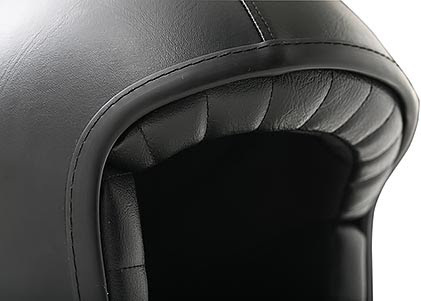 Both Short and Long Peaks are included, to allow the rider to tailor to the Xtra to the riding conditions. Dynamic Flow-through Ventilation - with top and chin vents, internal channels and exhaust ports at the rear - help keep the wearer cool when the going gets hot. The breathable and hypoallergenic Extra Comfort Lining is removable and can be washed, to maintain freshness. 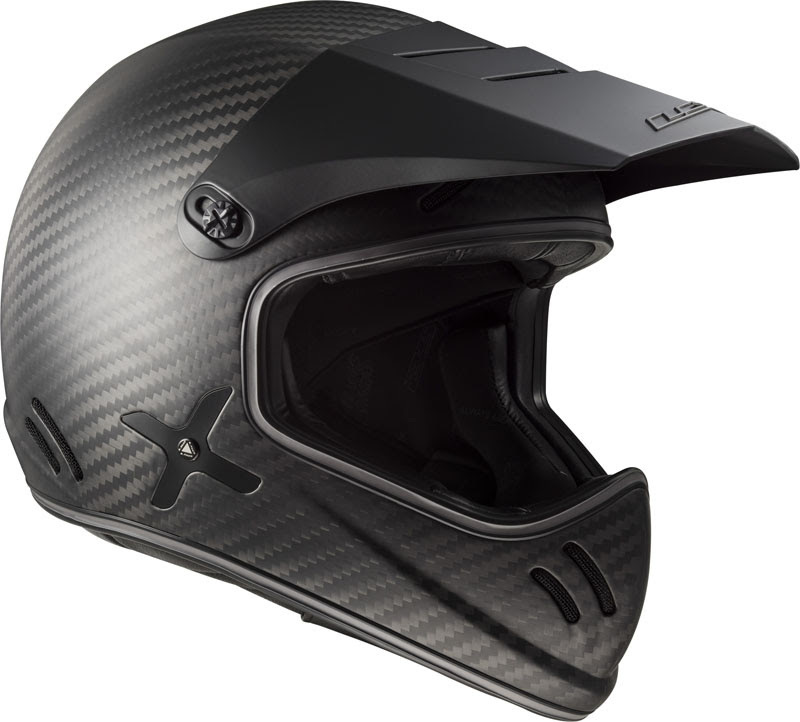 An emergency release system also features, which allows first responders to remove the cheek pads, so the Xtra can be removed with minimal movement of a fallen rider's head and neck. 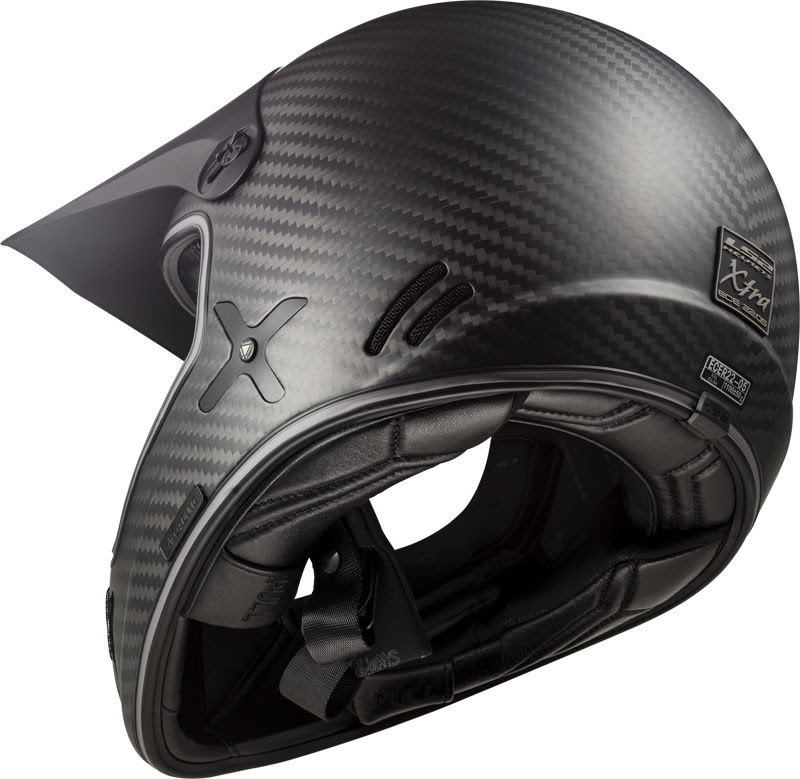 A reinforced chin strap, double D-ring fastening and LS2’s signature metal security plate top off the spec. The LS2 Xtra is available in sizes XS-XXL (53-64 cm) and is priced £399.99. 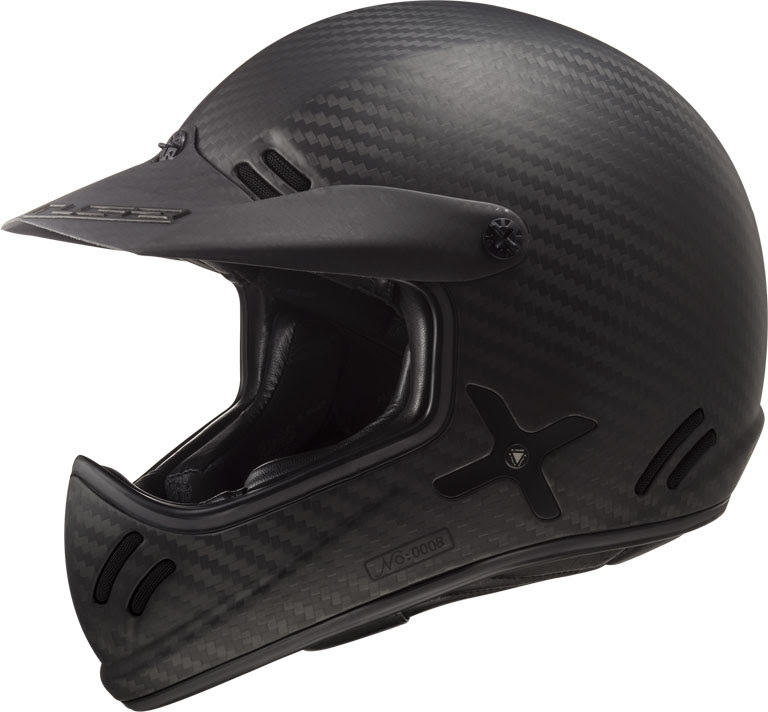 Visit www.ls2helmets.com for more information and to find your nearest stockist. London to Paris by 92-year old thumper and new electric motorcycle, on green lanes, for three good causes. Carla McKenzie and Julie Diplock are two unusual businesswomen who have taken on a very unusual challenge: to ride an ancient 1926 Triumph and a state-of-the-art Zero electric motorcycle from London to Paris, but avoiding tarmac as much possible, using old carriageways and green lanes. The trip will take place in September and raise funds for three charities. Both in their fifties, Carla and Julie have been passionate motorcyclists for most of their lives and between them have owned and ridden a huge variety of machines. Carla is the Managing Director of MYA Consulting, a successful hotel and catering consultancy based in Stroud. She is no stranger to motorcycle adventures, having ridden across the USA with wounded veterans as pillions several times. In 2015 she completed an epic challenge for charity, riding a British trail bike from John O’Groats to Land’s End, using as many green lanes as possible, having only just learnt to trail ride. This latest project combines her enthusiasm for both trail riding and electric motorcycles. Julie lives on Romney Marsh. She founded Elk Promotions, which runs classic motorcycle and autojumble events across Kent and Sussex. Julie worked as a courier in the despatch riding heyday of the 1980s, progressing to track and sprint riding and regularly uses her collection of veteran, vintage and classic bikes on the road. Some trials and tribulations are anticipated; specifically, finding places to charge the Zero in rural locations and overcoming the mechanical and riding challenges of piloting a 1926 Triumph model Q on muddy green lanes, with hand gear-change and lever throttle! Training is under way with a regime of fitness and trail riding practice for the event. Even on a purpose-built modern machine, trail riding requires a whole different mind-set and skills from riding on tarmac roads. The trip will highlight the evolution of the motorcycle over the past century, but more importantly it will raise money for three charitable causes close to these women’s hearts. The Lt Dougie Dalzell MC Memorial Trust (DDMT) offers support and assistance to soldiers who are currently serving, or have served, in the Armed Forces. The Kent, Sussex, and Surrey (KSS) air ambulance provides an emergency service to patients who have suffered trauma or medical emergencies. The Joan Seeley Memorial Trust provides pain relief and medical equipment for hospitals and hospices throughout the UK. The ladies will leave Westminster on Tuesday 18th September and are planning to arrive in Paris on the 21st September. (Dates to be confirmed). 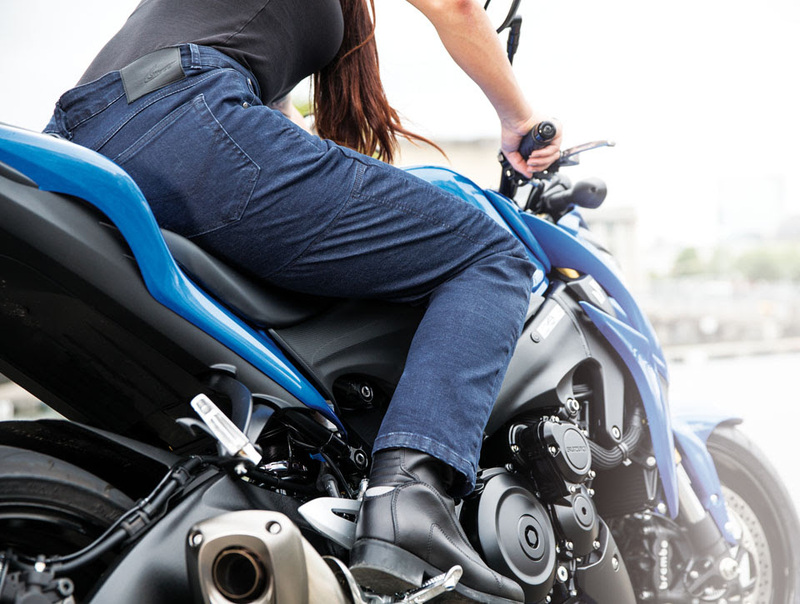 Triumph Motorcycles UK has partnered with the Institute of Advanced Motorists (IAM) to offer all Triumph riders, owners, dealers and staff a £40 discount on IAM RoadSmart’s Advanced Rider Course. Based on the police’s Motorcycle Roadcraft riding manual, the course helps develop riders to be safer on the road, improve their anticipation and increase rider enjoyment. According to 2,500 riders who passed the Advanced Rider Course, 97% found riding more enjoyable after taking the test, 94% reported improved use of road space and 61% claimed the course helped them avoid an incident. With Triumph’s discount, the Advanced Rider Course costs £109 (usually £149) and includes the course manual, your IAM RoadSmart membership, the test ride, and as many observed rides as necessary to prepare for the test. To book your course, call 0300 303 1134 quoting 'triumph10' to save £40 or book online at IAM RoadSmart. Copyright © 2008-2019, South East Biker Magazine. All rights reserved.